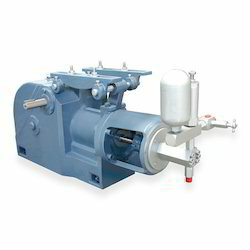 We are a leading Manufacturer of boiler feed pumps from Bengaluru, India. We have emerged as the foremost manufacturer, exporter and supplier of Boiler Feed Pumps. With the help of our skilled professionals, these testing pumps are manufactured using premium quality components and innovative technology in adherence with industry standards. In addition to this, these testing pumps are available in different specifications and sizes in order to meet the demands of our clients. Looking for Boiler Feed Pumps ?